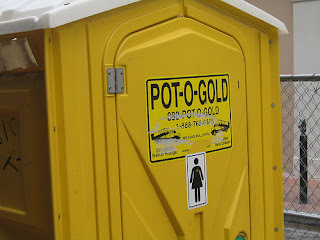 port-o-pottys Rule!!!!!!... except for that NASTY smell. you can have the potty job, me i'd go into the perfum buisness if i get the chance. those little bottles can have ingriedents that cost well over the common americans pay! !